WIN a Skatedeck from Pennywise! 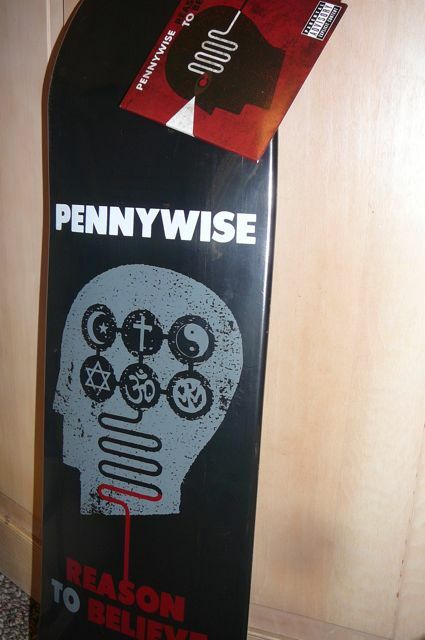 To celebrate the release of Pennywise’s “Reason to Believe” on MySpace Records, we are giving away a PENNYWISE skatedeck. To win send us an email info(at) the rock star stories (dot) com and let us know you want to win it and why! Let us know if you skateboard or just want to make your room cool. Either way it’s OK with us.